Acxiom Corporation announced that Akhila Thirumalareddy, a third semester student in the Master of Science in Information Quality (MSIQ) program at the University of Arkansas at Little Rock (UA Little Rock), has been awarded an Acxiom Diversity Scholarship in the amount $5,000. The Acxiom Diversity Scholarship Program was designed by Acxiom Corporation as a way to create an inclusive and supportive workplace environment. Akhila’s award was one of 8 Diversity Scholarships awarded by Acxiom in 2019. 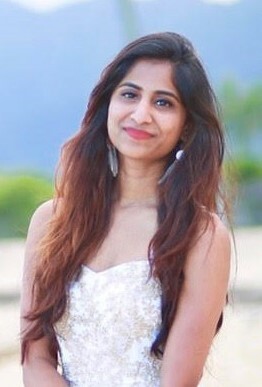 Akhila joined the MSIQ program in the spring of 2018 after completing her Bachelor of Science in Engineering and Computer Science at the Jawaharlal Nehru Technological University in Hyderabad, India. Akhila is also a teaching assistant for the UA Little Rock Information Science Department, Social Media Manager for the UA Little Rock Academy for Teaching and Learning Excellence, and a member of the OYSTER Research Team in the UA Little Rock Center for Advanced Research in Entity Resolution and Information Quality (ERIQ). Acxiom is an enterprise data, analytics and software Services Company. For more than 40 years, the company has been a leader in harnessing the powerful potential of data to strengthen connections between people, business and their partners. Acxiom is headquartered in Little Rock, Arkansas with additional locations around the United States. The company also has operations in Europe, Latin American and Asia Pacific. Diverse students who are enrolled full-time in a post-secondary degree program in Computer Science, Computer Information Systems, Management Information Systems, Information Quality, Information Systems, Engineering, Mathematics and Statistics or related areas of study are eligible for the Acxiom Diversity Scholarship program. In addition to the monetary award, scholarship winner are also eligible to receive a paid internship at one of Acxiom’s worldwide locations. Established in 2006 by the University of Arkansas at Little Rock Donaghey College of Engineering and Information Technology (EIT) in collaboration with the Massachusetts Institute of Technology Chief Data Officer and Information Quality (MIT CDOIQ) and Acxiom Corporation, the UALR Information Quality Graduate Program is dedicated to promoting state of the art curriculum in information quality education, contributing new ideas to the information quality knowledge base, and establishing information quality partnerships with the community, government, and industry. The program’s online Master of Science in Information Quality along with the online Master of Science in Information Science are ranked by US New & World Report among the 15 Best Online Information Technology Programs in the nation.